Volunteers search for dragonflies at the Arboretum’s Schmidt Lagoon. How many species of dragonflies call the Arboretum home, and where do they live? What are the most common species? More than twenty budding citizen scientists gathered in May to learn how they could help answer these questions. 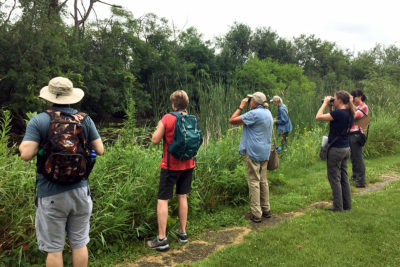 The workshop marked the beginning of a citizen scientist–based monitoring program focused on how to identify dragonflies and survey for these charismatic insects at the Arboretum’s ponds and wetlands. There are more than 160 species of dragonflies found in Wisconsin, and over 60 found in Dane County alone. Adult dragonflies are often found near open water and wetlands. Since much of their lives are spent under water as larvae, the presence of dragonflies often indicates high water quality. The Arboretum, with extensive marsh, wetland, and aquatic habitats, is an ideal location to search for dragonflies. In addition to surveying the high-quality natural areas, we also want to find out if our stormwater detention ponds serve as dragonfly habitat. Once trained, volunteers were asked to visit specific Arboretum locations throughout the growing season. To date, nine volunteers have reported eight species of dragonflies at six locations. They observed common species including common green darners, common whitetails, and twelve-spotted skimmers. The most uncommon sighting was a single prince baskettail at Schmidt Lagoon. Blue dashers were seen often at Schmidt Lagoon but infrequently at all other surveyed locations. Late June, July, and August are peak time to see dragonflies. Heading into fall, as reported by our volunteers, it is much harder to find dragonflies. 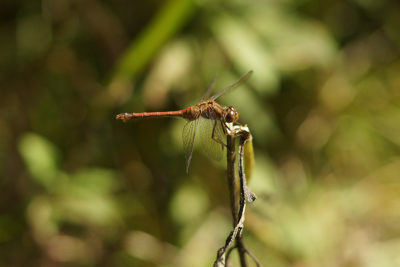 Common green darners and meadowhawks are the most observed species. As the survey season comes to an end, we begin planning for next year. We plan to hold another dragonfly workshop in early spring 2019 for interested volunteers. Please contact Brad Herrick if you are interested in getting involved. 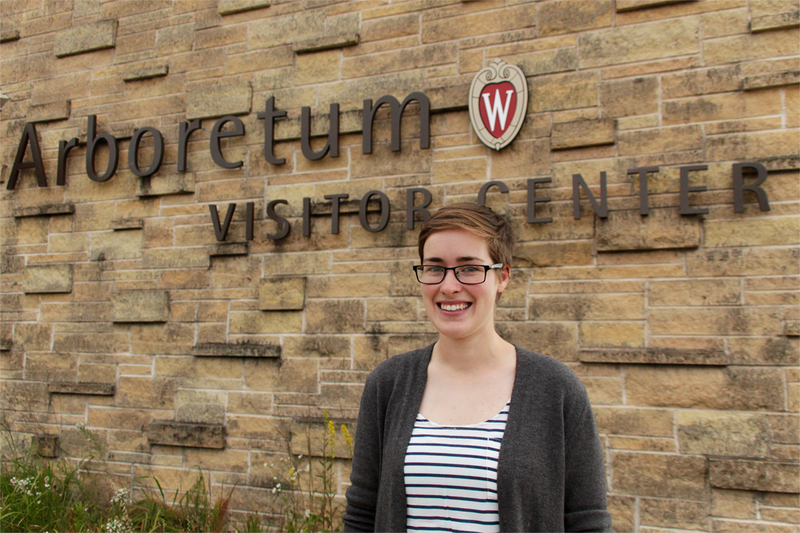 Citizen science at the Arboretum got a big boost when our new citizen science coordinator, Jessica Ross, joined us in mid-September. Jessica just finished her Master’s degree from Northwestern, where she studied fungal communities in tropical rainforests. She has experience conducting and leading citizen science projects such as the Monarch Larva Monitoring Project (MLMP) and the Echinacea Project. Jessica will help to organize and facilitate dragonfly monitoring training sessions in the future. 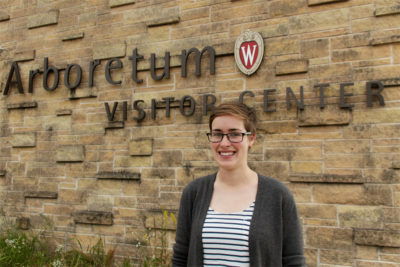 Welcome to the Arboretum, Jessica!